This is a unique chassis concept which originated in the 1920s and has not yet been rivalled. 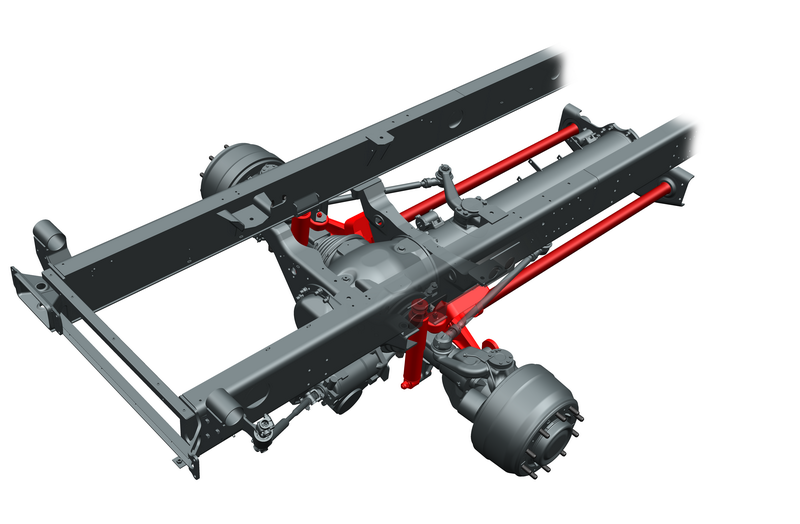 The main principle is the use of a central load-carrying tube and axles with independently suspended swinging half-axles bolted together into a single unit. Over the years, this “TATRA vehicle concept” has been developed in order to gain the existing original solution which gives TATRA vehicles their unique performance when operating in the most difficult off-road conditions. High torsion and bending rigidity protects superstructures from transmitted loads. 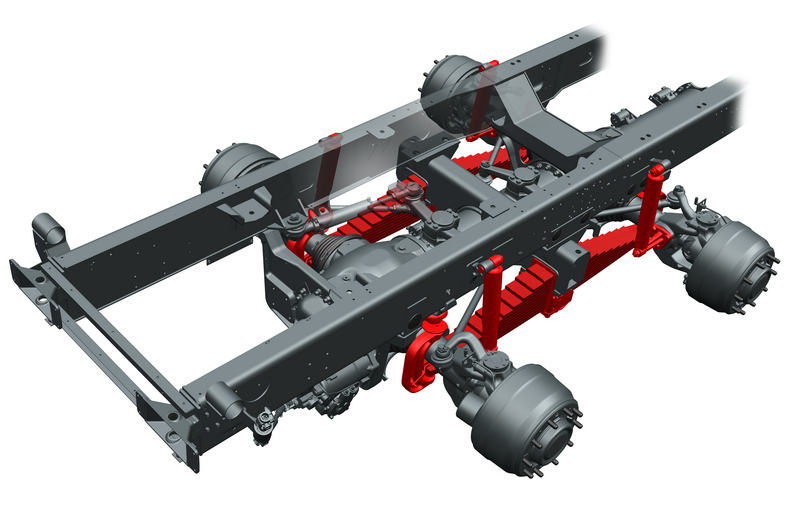 The modular system enables the production of two to six-axle vehicles with different wheelbases; and all-wheel drive versions possible. 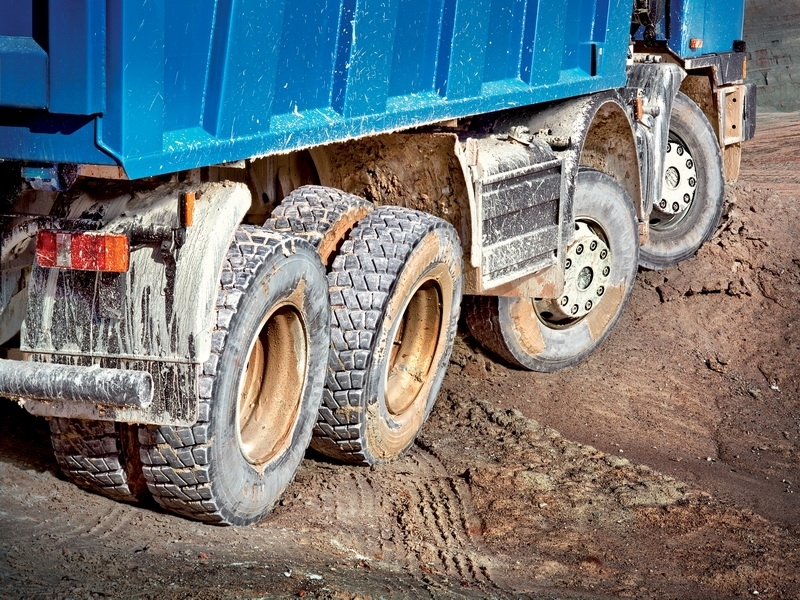 In terms of operation, the most vulnerable part of the driving torque distribution system leading to axles is placed in the load-carrying tube and thus, protected by it. 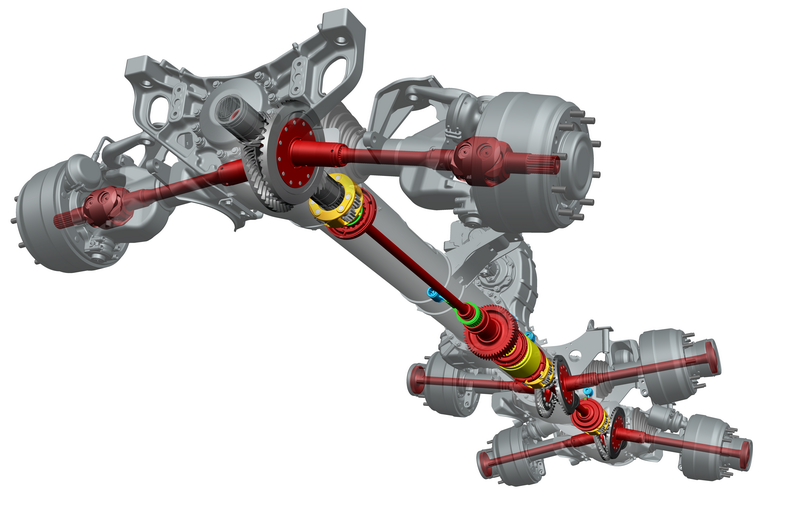 TATRA axles are, in their basic version, always driven and equipped with locks. A pair of driven crown wheels (one per half-axle) and a pair of pinions transmitting torque from the diferential are placed in the axle housing. The differential is placed outside the axle in the central load-carrying tube, and unlike classic axle solutions with a bevel differential, it is a so-called crown or cylinder-type differential. The inner space of the housing is adapted for the swinging motion of the half-axles. 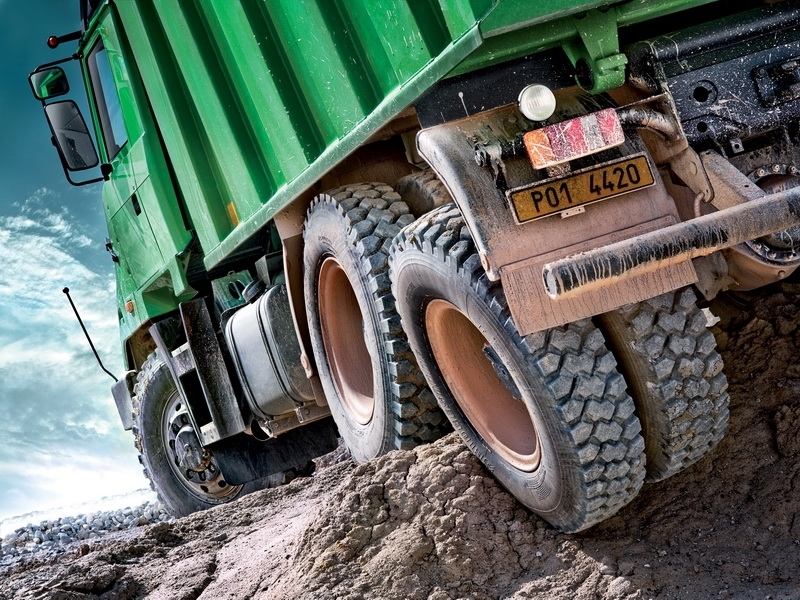 The axles are fitted with pneumatic drum brakes equipped with Perrot wedge spacers, and where required by legislation, also with ABS installation sensors. 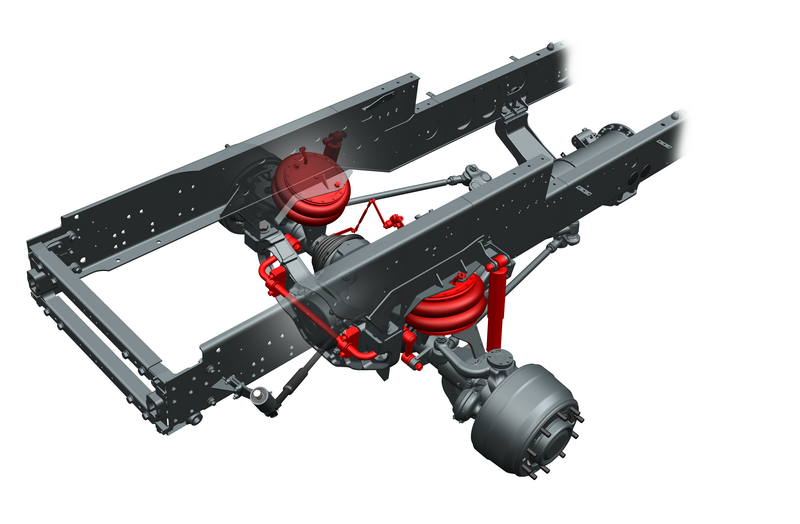 leaf springs for versions with two steered axles (8×8, 10×10 or 12×12). 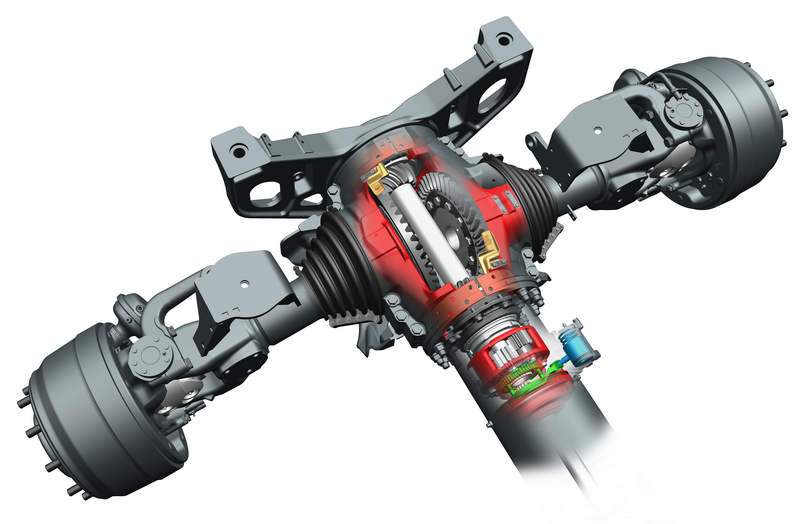 Air suspension with load-bearing capacity of 9 t per axle and the possibility to adjust ground clearance; This type of suspension is primarily intended and developed for T 815-7 range vehicles and its utilisation provides completely different driving characteristics. 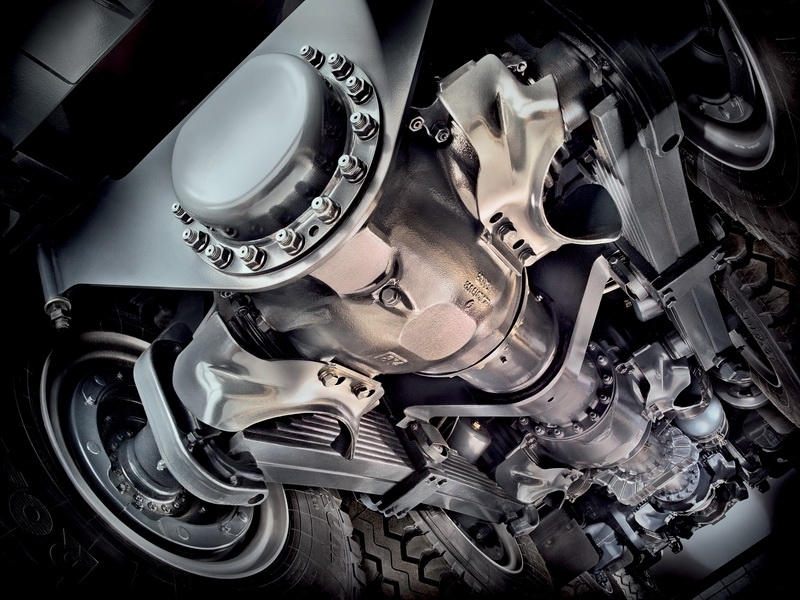 All types of suspension are equipped with telescopic shock absorbers and, in some versions, also with torsion bars.